The fluoroquinolones have proven to be one of the most commercially and clinically successful antibacterial classes for the treatment of acute exacerbations of chronic bronchitis. Their broad spectrum and high potency against respiratory pathogens (which improved with the more recent launches such as moxifloxacin and gatifloxacin), safety, and convenient once-daily dosing have earned them a favorable position in the minds of clinicians. One of their main advantages in acute exacerbations of chronic bronchitis has been their high H. influenzae activity compared with other agents such as the macrolides. The few concerns associated with this class of agents include their potential to induce abnormal cardiac conductions (i.e., prolongation of the QT interval on electrocardiograms) and liver toxicity (particularly since the withdrawal of Pfizer's trovafloxacin). 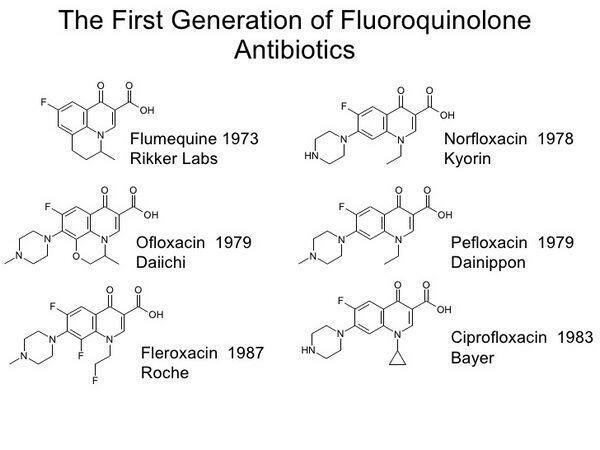 Emerging fluoroquinolones in development provide potential advances over currently marketed agents mainly in terms of higher potency against respiratory pathogens. Fluoroquinolones act by inhibiting bacterial topoisomerase IV and DNA gyrase, which are enzymes required for DNA replication, transcription, repair, and recombination. The exact nature of the interaction of fluoroquinolones with their target enzymes is not completely understood; however, this interaction blocks the progression of DNA replication, leading to strand breaks and rapid cell death. These agents are potent inhibitors of nucleic acid synthesis. Garenoxacin (Schering-Plough/Toyama's T-3811, des-F(6)-quinolone garenoxacin) is a potent, oral, broad-spectrum quinolone that is prereg-istered in the United States. Garenoxacin has a broad spectrum of activity, similar to that displayed by the other new fluoroquinolones. Garenoxacin shows the highest antibacterial activity against S. pneumoniae when compared with ciprofloxacin, levofloxacin, gatifloxacin, and moxifloxacin, and it is more potent than ciprofloxacin, levofloxacin, and moxifloxacin against anaerobes. 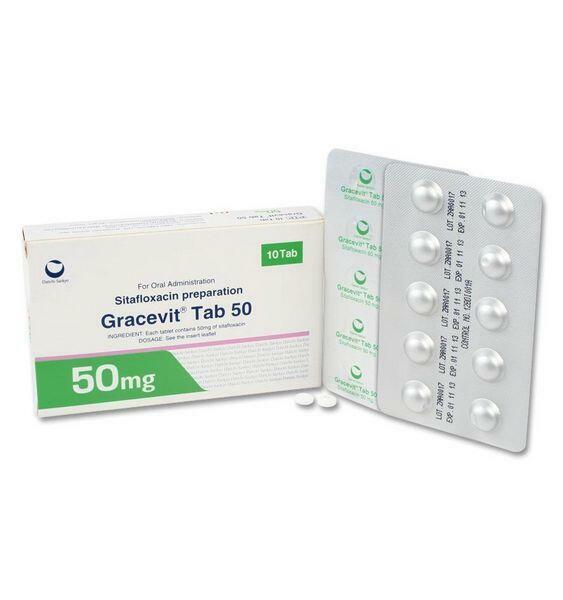 It is also highly potent against ciprofloxacin-resistant strains of S. pneumoniae and Staphylococcus aureus, and like gatifloxacin, it is associated with a lower risk of promoting resistance development. Garenoxacin has favorable pharmacokinetics and is expected to be administered as an oral or injectable once-daily formulation. A Phase II trial comparing the safety and tolerability of garenoxacin (dosed orally at 400 mg once daily) with placebo for 28 days in 45 healthy volunteers showed the drug to be both safe and well tolerated, with no serious adverse effects. Similarly, Phase II clinical trial results for the IV formulation showed garenoxacin to be safe and well tolerated, with no serious adverse effects. No clinically significant effects on liver function and QT interval have been reported. In a randomized, double-blind, placebo-controlled, Phase III study, treatment with garenoxacin (400 mg/day for either five or ten days) in 301 patients with acute exacerbations of chronic bronchitis was clinically efficacious. Clinical response rates, determined 28 days after completion of therapy, were 90% and 93% for the five- and ten-day treatment groups, respectively. The same study showed that both the five-and ten-day treatment regimens were well tolerated; nausea (4%) and diarrhea (4%) were the most commonly reported adverse events. Garenoxacin is a promising new fluoroquinolone with potent activity against key respiratory pathogens. In acute exacerbations of chronic bronchitis , the agent provides the potential advantage of retained activity against resistant pathogens. The product has the potential to be the fourth respiratory fluoroquinolone on the market (following gatifloxacin, moxifloxacin, and gemifloxacin). Garenoxacin's most differentiating feature may be its low chondrotoxic potential and, therefore, its potential for use in pediatric patients. (Although obviously not the focus of the acute exacerbations of chronic bronchitis market, this feature is important in the product's overall market potential.) Unlike other fluoroquinolones, which are not approved in children because of toxicity in joints and cartilage, toxicological studies of garenoxacin's effect on immature and juvenile joint cartilage have shown that this drug does not induce cartilage defects or significant arthropathy in immature rats or dogs. Daiichi's injectable fluoroquinolone sitafloxacin is undergoing Phase III trials in Japan against S. pneumoniae infections. Daiichi filed a marketing application for the oral formulation in Japan, which was subsequently withdrawn because. Phase III trials in Japan were reinitiated for respiratory and other infections. The agent is in Phase II development in the United States and Europe for serious nosocomial infections, including hospital-acquired pneumonia, due to drug-resistant bacteria. Daiichi is also developing an injectable formulation. Sitafloxacin exhibits activity similar to that of gemifloxacin against gram-positive bacteria, and it has activity equivalent to or better than that of most fluoroquinolones against gram-negative bacteria and other respiratory tract pathogens. Significantly, sitafloxacin is more potent than other fluoroquinolones against mefhicillin-resistant S. aureus (MRSA). It is equivalent to ciprofloxacin and better than most fluoroquinolones against Pseudomonas aeruginosa, and more potent than ciprofloxacin against Klebsiella pneumoniae. It displays the highest activity of all fluoroquinolones against anaerobes. A Phase II, randomized, open-label, multi-center study assessing the safety, tolerability, and efficacy of sitafloxacin (400 mg once daily) compared with imipenem (imipenem/cilastatin, 500 mg three times daily) showed that sitafloxacin is safe and effective in the treatment of hospitalized patients with pneumonia. Researchers noted a clinical cure in 32 (out of 35) subjects receiving sitafloxacin and mild-to-moderate drug-related adverse events in 5 subjects. The most common adverse events reported were injection-site reactions and GI effects. In vitro activity of sitafloxacin and other new fluoroquinolones was compared with a number of control drugs in the same class (such as ciprofloxacin and levofloxacin) by reference dilution tests against 2,156 recent U.S. clinical isolates of S. pneumoniae, H. influenzae, and Moraxella catarrhalis. All the fluoroquinolones demonstrated excellent in vitro activity against these three pathogens, and sitafloxacin exhibited one of the highest potencies, at 0.5 µg/mL. All the isolates of H. influenzae and M. catarrhalis were inhibited by the investigational and comparator fluoroquinolones at <0.5 µg/mL, irrespective of their beta-lactamase-producing abilities. In a second study, sitafloxacin demonstrated the highest in vitro potency against H. influenzae compared with gemifloxacin, garenoxacin, levofloxacin, and moxifloxacin.